I think the first time I heard Milky Chance I was perusing artists on Sound Cloud, one link led to another and I found a random mix of songs I could download for free. 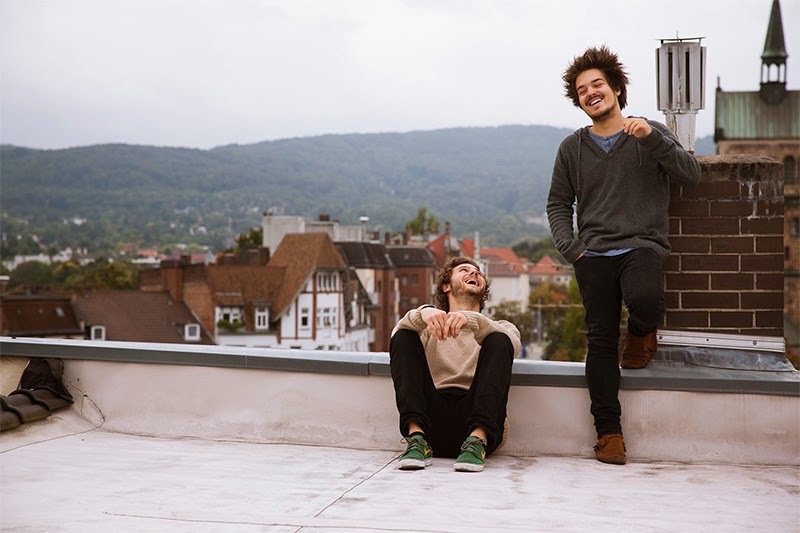 One of the songs happened to be "Stolen Dance" by Milky Chance. Every song from their album makes me want to walk down the sidewalk, boppin' my head. The music is beautiful but against the coarse voice of the lead singer Clemens Rehbein, it gives me chills. The German duo has been together since they met in an "Advanced Music" class in eleventh grade. Since then, they've been making evocative melodies made of acoustic guitars and electronic beats. Even though most of their music makes you want to dance, there is a somber overcast to their style- hence the perfect album name, "Sadnecessary." Most of their 2015 tour is sold out but you can take a look for yourself here and catch them this year at Coachella!